Should you Upgrade Windows XP Now, or Wait for Windows 9? Windows XP users need to make a decision next month. When Microsoft ends extended support for the operating system, millions of PC systems running XP will not receive any security updates anymore from the company. While that may not be a problem depending on how the computer is used, for instance only locally, or as a better typewriter, it can be an issue if it is connected to the Internet. What makes this worse is the fact that Microsoft security products will also stop supporting Windows XP. EMET, the Enhanced Mitigation Experience Toolkit, for instance was released as version 5.0 Tech Preview recently which does not support XP anymore. Third-party software should work fine however, and programs like Malwarebytes Anti-Exploit can be used instead, at least for the time being. A system upgrade to another operating system is an option as well. Instead of running an unsupported operating system from April 8, 2014 on, XP users can upgrade the system to another version of Windows, or Linux. 1 GHz 32-bit or 64-bit processor. 1 GB of system RAM. Windows Aero capable graphics card with 128 MB of graphics memory. 40 GB hard drive with at least 15 GB of free space. 16 GB of free hard drive space for 32-bit, 20 GB for 64-bit. DirectX 9 capable graphics card. 1 GB of RAM for 32-bit, 2 GB for 64-bit. 16 GB of free space for 32-bit, 20 GB for 64-bit. Microsoft DirectX 9 graphics device. Depending on the PC running Windows XP, you may or may not be able to upgrade to a newer version of Windows. Tip: Run Upgrade Advisor to find out about that. While it is possible to use a newer version with hardware that does not match the requirements, it may cause slow downs and other issues. The two operating systems that make the most sense right now if you want to continue using Windows, are Windows 7 or 8 in regards to updating a PC running XP. Windows 7 has the advantage that it resembles Windows XP on many levels. It is regarded by many as one of the best Windows versions that Microsoft put out. While you will have to get accustomed to the changes, you should not run into major issues. 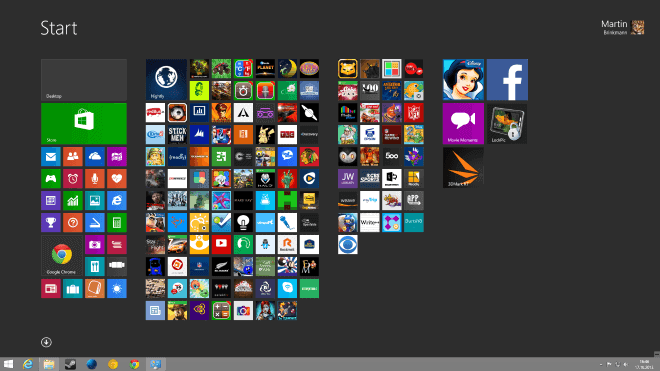 The same cannot be said for Windows 8, which ships with its two interface, one of which has been optimized for touch. 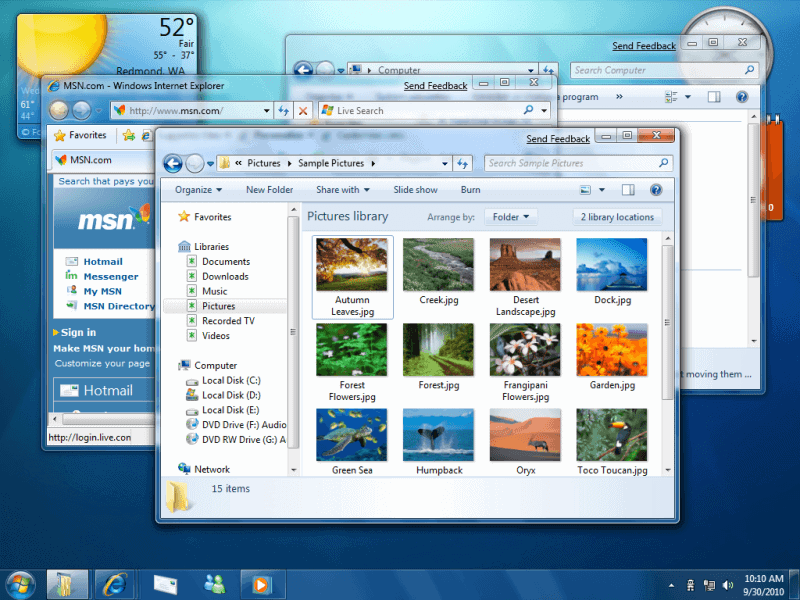 It is possible to use the desktop part only and ignore the second interface completely, and also add missing features such as a fully working start menu back to the operating system. Microsoft has released two updates that aim to make the operating system comfortable to use for keyboard and mouse users, and while I think that it is a step in the right direction, the two-tiered interface may still feel alien to you. There is another option, one that requires you to wait another year, and keep running XP in that time. We do not know a lot about Windows 9 at this point in time, only that Microsoft plans to release it in 2015. Some hope that Windows 9 will be like Windows 7, only modern and with improved functionality. I think it is likely that Microsoft will release a unified experience with Windows 9, meaning that you won’t switch between desktop and start screen, but use a single interface for everything instead. That’s speculation on the other hand, and I do not think it is a good idea to bet on that just yet. If the hardware cannot run a newer version of Windows, switch to a Linux distribution such as Linux Mint or Ubuntu. That’s a cost-friendly option, but it means that you will spend time getting to know the new system, and that you can’t keep most of the programs that you ran on XP. Note that there is Wine and other programs that support running Windows software. If your hardware can run a newer version of Windows, you should pick Windows 7 or Windows 8. Windows 7 requires less getting used to time, but support for it will end three years before support for Windows 8 ends. Windows 8 has a two-tiered interface and is optimized for touch, but most of this can be ignored or mitigated by installing third-party programs such as Classic Shell. I have been running Windows 8 on one of my PCs and it works out just fine that way. Selecting Windows 7 or Windows 8 comes down to personal preference. Windows 8’s advantage is that you get three additional years of support, while Windows 7 feels more like a successor of XP. I would not wait for Windows 9, as all we know right now about the operating system is based on speculation. This entry was posted on Monday, March 10th, 2014 at 10:18 am	and is filed under General News, tech tips. You can follow any responses to this entry through the RSS 2.0 feed. Both comments and pings are currently closed.